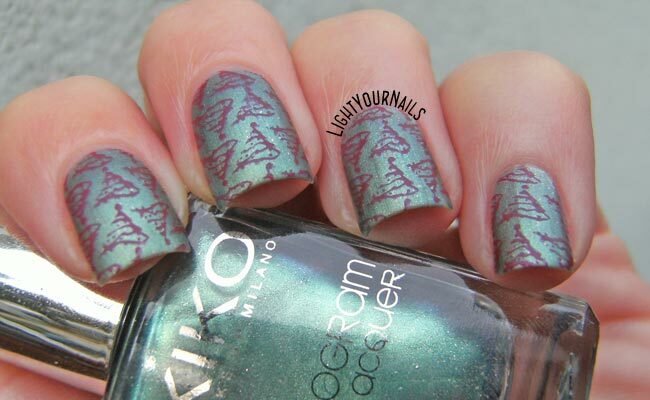 Winter nail art challenge: Christmas trees | Light Your Nails! These christmas trees look very nice! this is so pretty matted. GAH! 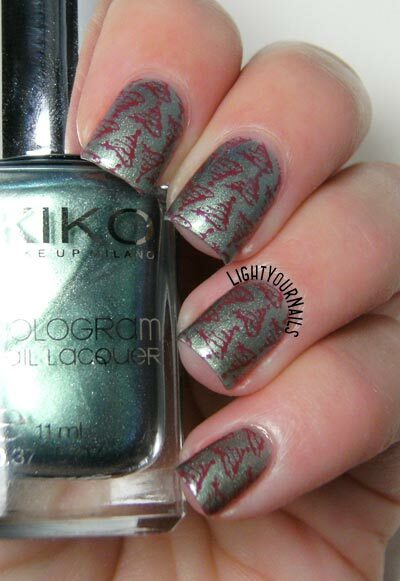 That Kiko is lovely! Beautiful choice for the base. As always, yay for matteing it! Thank you! I am not so in love with that Kiko to be honest but it worked for a base! Dici? Dopotutto è sempre verde e rosso! Oh my, I love these!! That base polish is gorgeous!